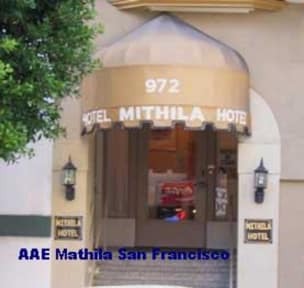 It is a very convenient place to stay in San Francisco. Comfortable, cheap, and not too noisy inside considering that it is located near a busy area. 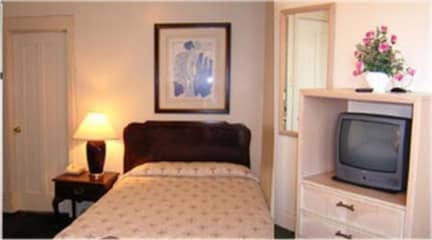 Easy access to transport, or walking distance to interesting attractions. Decent hotel at a good location in SF. Very compact room, but clean and with basic amenities. I arrived before check-in time (which is quite late, 3pm) and there was nowhere for me to wait/rest; there is no lobby / seating / guest area. No refreshments on offer. Staff was very friendly and arranged an earlier check-in for me. The bed sheets were not clean and the toilet was a 7 minute walk away. The hotel is fine. Very basic but fine...definitely not worth what they are charging. We were on a campervan holiday and just needed somewhere for the night in San fransisco. We needed parking which is why we chose this hotel. They advertise as having parking...we had to pay an extra $60 for parking overnight. There's a bath but no plug which is okay, there's a shower and a soda can made a good plug. The worst thing is the overwhelming smell of urine all throughout the hotel. Everywhere. The hotel was very disappointing! The atmosphere was very sad and unwelcome. The room itself was dusty and smelled very badly. It was not clean and we couldnt even open a window. I was freezing during the whole night but only had one little sheet to cover. I would not recommend this Hotel, it looks better on pictures and ratings in the internet than it really is. I stayed at the Mithila Hotel with a friend of mine for 4 days. It is located quite central and it is close to many bars and restaurants. The hotel was rather disappointing. We had a small double room which was smelling very badly. If you take the room with shared bathroom you will have to share one toilet with the whole floor and it is cleaned no more than once per day. It also smells quite bad. Shower ~1x1 mt nothing fits inside. Breakfast is just coffee. Too expensive for what it is.